What’s my favorite travel memory? That’s easy – the first time I saw Barcelona’s Sagrada Familia Cathedral. Having learned about it in high school, I remember marveling at the architecture first-hand and thinking that its first impression did not disappoint! When I was a student at the University of Arizona (go Wildcats! ), I studied abroad in Alcalá de Henares, Spain near Madrid. I’ve also visited Portugal, Italy, Ireland, England, France, Germany, Switzerland, and Canada. While it’s hard to choose a favorite location, I consider Spain my second home. As a CEA Admissions Counselor, I help students choose the study abroad program that is the best fit for them, and use my own passion for study abroad to assist them throughout the entire enrollment process. Outside of work, I love spending time with my husband, family, and friends, hiking, backpacking, playing tennis, reading, baking, and when given the chance, traveling! Did you know? I was a colorguard member on the Pride of Arizona Marching Band for three years in college and performed at pre-game and half-time shows in front of thousands of football fans! 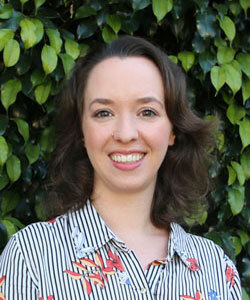 Jayna Winn oversees and manages CEA’s custom and faculty-led programming. She works hand-in-hand with CEA’s onsite international staff, and in collaboration with the academic, program development, and university relations teams. Her team is responsible for partnering with university staff and faculty to develop and facilitate high-quality custom programs that support their specific learning outcomes and student population. 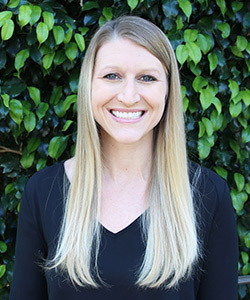 Jayna holds a Master of Arts in International Education Management from the Middlebury Institute of International Studies at Monterey (MIIS) and a Bachelor of Arts in International Studies from the University of Utah. 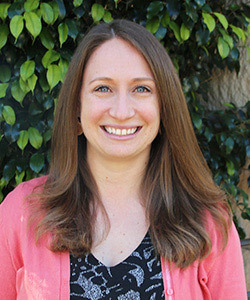 Before joining CEA, she worked in the field as a Program Coordinator at MIIS and through consulting projects focused on program design and assessment. Additionally, Jayna spent five years managing international teams and partnerships for a digital marketing agency, where she developed an intercultural training program. Jayna is a member of NAFSA and has presented and facilitated at regional conferences. Jayna has spent time working and/or studying abroad in Peru, Costa Rica, England, and India. An avid traveler, she has also had the opportunity to explore Australia and Israel, as well as several countries in Latin America, Europe, and Africa. Custom and Faculty-Led Program Coordinator Marquisa Regnier works with our University Relations team, faculty and staff at U.S. universities, and with our overseas Program Directors to develop and coordinate custom programs for students studying in Spain, Italy, the Czech Republic, England and Ireland. Marquisa brings years of international education experience to her role at CEA. 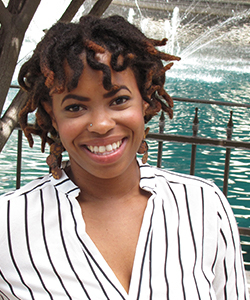 Prior to joining the CEA team, Marquisa worked with another study abroad organization where she helped students travel to Spain, Thailand, and the Czech Republic. 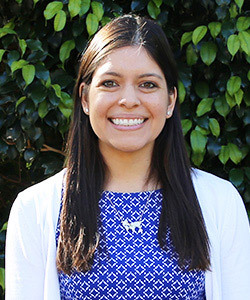 After studying abroad and taking classes strictly in Spanish during semesters in Cuernavaca, Mexico and Madrid, Spain, Marquisa graduated from Saint Mary’s College of California with a dual degree in International Studies and Spanish Language. Custom Program Advisor Michelle Esche helps faculty and students prepare for their overseas experience. She provides support and advice on topics including housing, flights, medical insurance, visas, cell phone, and packing—all with the goal of ensuring that students and faculty have the information they need for a successful experience abroad. Michelle brings a background in international education to her role at CEA. A graduate of DePaul University, Michelle earned her degree in Communication Studies with minors in Business Administration and Spanish. Before joining the Custom Programs Team, Michelle was a CEA Site Specialist; in this role, she advised hundreds of students through the pre-departure process on topics such as course registration, visas, and housing selection, and collaborated with international team members to align student messaging. 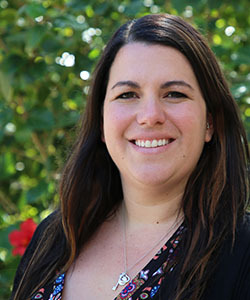 Sarah Becker, in her role as the Custom & Faculty-Led Program Coordinator, works closely with professors and administrators at colleges and universities to create and execute short-term custom or faculty-led study abroad programs in Argentina, Costa Rica, Czech Republic, and Spain. With extensive experience in the field of international education, Sarah works to develop motivating programs that challenge students to learn through experience. Sarah holds a Master’s degree in Global Studies and a Bachelor’s degree in Cultural Anthropology and Spanish, and has participated and administered various study, teach, and service learning programs in Argentina, Colombia, Croatia, Israel, Spain, Thailand, and the United States. Immediately prior to joining CEA, Sarah worked as the on-site Program Director of an English teaching program in Colombia, and uses her field experience directly to the development of her programs. Alyssa works on the Custom Programs team, which organizes unique study and internship abroad programs for CEA’s U.S. university partners. Alyssa has worked in higher education in many different capacities, including as a study abroad advisor at Northern Kentucky University and as a program manager for a science outreach initiative at Arizona State University. Alyssa studied abroad in Russia while pursuing a degree in biology and international studies, using funding from scholarships offered by the United States Departments of State and Homeland Security, for which she has since served as a judge and reader. She is passionate about helping students find creative ways to fund their international education and make the most of their time abroad. She had a life-changing experience while studying abroad and wants other young people to have the same opportunity.